Reindex Magneto 2 Extension is help admin to reindex backend data without any help of developer. Due to lots of merchant’s data all information catalog data, prices, users, stores gathers in database table. 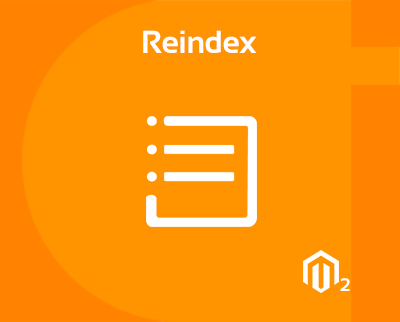 So improve store performance Reindex magento 2 extension compile all table data. Just bought this extension and i am totally happy with it! Also support was really good. Great featured list with reasonable price, customer support is very auspicious. I searched so many website for this extension. They provide free extension, this reindex extension is error free extension compared to others. Great extension by cynoinfotech team. Such a wonderful extension, easy to install and configure with my website. Using this extension, very helpful to improved my store performance. Why choose our extesnion for Magento 2? CynoInfotech is continually grow with their passionate work, regularity of work delivered, new creativity of work. Either it is small project or it is big, will focus on both same. And definitely our output is multiply as compare client’s conception.